Owners Bob & Jane Dehnel purchased the business in 2004. We have lived in Merrill over 30 years and raised our family here. We support many community events and are active members in organizations such as the Merrill Area Chamber of Commerce, Merrill Area United Way & Merrill Optimists. Our industry related involvement includes membership in the Central Wisconsin Auto Body Association and WACTAL (WI Auto Collision Technicians Assn Ltd). 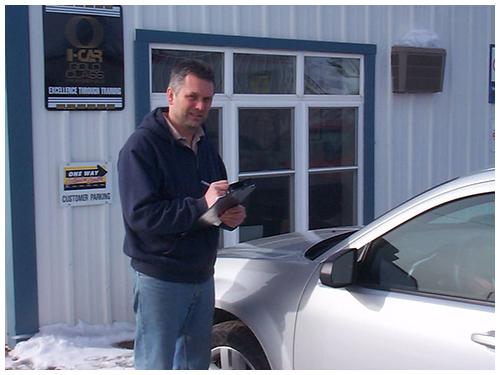 We value continuing education and have achieved I-CAR Gold Class certification which is the highest ranking. Our technicians are also ASE certified.